Pirated software may be exponentially cheaper, but, are we really getting the most out of that bargain? At face-value, it seems like it’s as good as the real thing. But in reality, there are actually tons of inherent threats associated to using pirated software – aside from criminal liability. It’s very likely for pirated software to be housing malicious software in it, making you vulnerable to various types of threats and infections once you activate them. In fact, based on the results of Microsoft’s Southeast Asian computer security study released last December 2012, over two-thirds or 63 percent of pirated software acquired from the Philippines, Malaysia, Vietnam, Thailand and Indonesia had malwares in it. The results were based on testing 118 samples which included pirated installer DVDs and computers running on pirated versions of Windows that they purchased from resellers. Based on the tests, Microsoft also found a variety of malwares contained in them, these included backdoors, Trojans and password stealers to name a few. 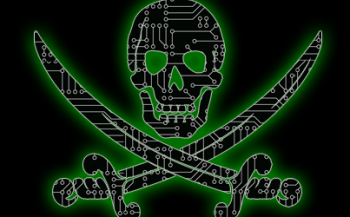 Case in point, using pirated software makes you highly susceptible to malware infection. In turn, this makes you vulnerable to various hazards that can range from as simple as sending SPAM to your contacts up to as threatening as stealing your passwords and other personal information (e.g. banking details). Referring again to Microsoft’s Southeast Asian computer security study, they revealed that over 77 percent of the computers they tested had the Windows update either disabled or re-routed to third-party services. Tampering or disabling software updates is a generic practice in piracy since this allows the users to skip the validity checks and allow the software to go undetected as a pirated copy. But subsequently, this practice denies you your security updates as well. According to Symantec, without security updates your computer’s vulnerabilities become open for cybercriminals to exploit. This vulnerability can lead to bigger hazards such as data loss or data theft. One of the more generally relatable issues is the likelihood of your computer to crash. Crashing can be a real pain, not only will it cripple productivity, but it also has its costs too. It initially costs time, and in the long run, it may lead to actual monetary expenses as well. I guess this is already a given, but just to remind everyone, you won’t be able to avail of customer support services when you experience inconveniencies with your pirated software. Knowing whether your computer’s software is genuine or not, can be a particularly difficult task. With even well-known PC-brands being tested to unknowingly have pirated software installed in them, it’s highly suggested for you to take a few extra-steps just to avoid unnecessary risks and liabilities.